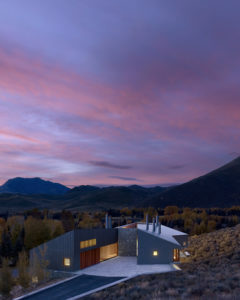 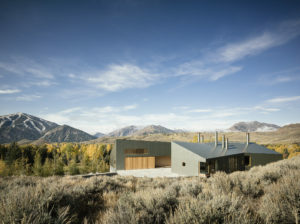 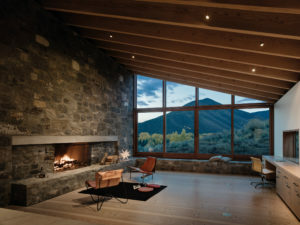 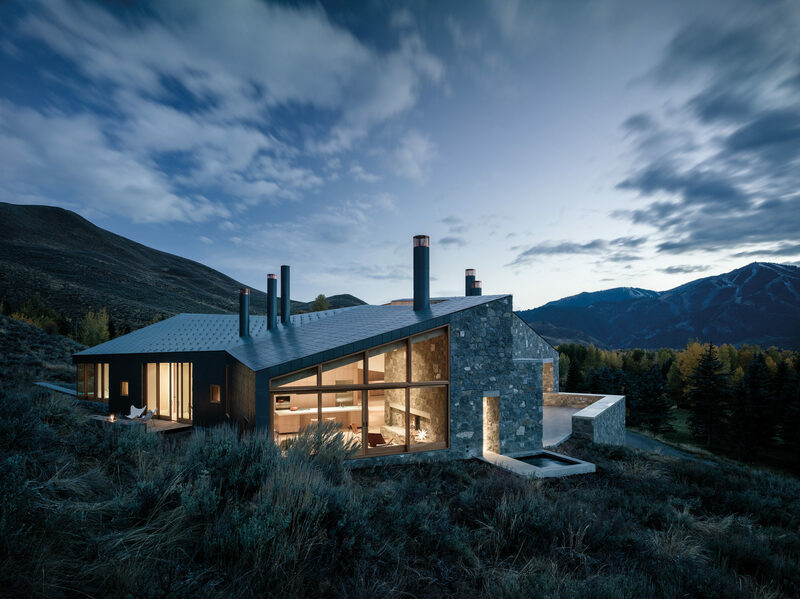 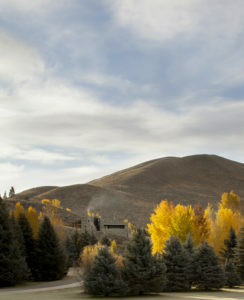 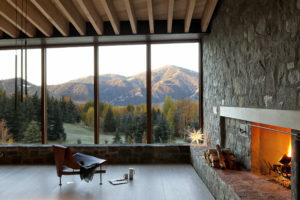 Sidling up against the soft topography of the highlands of Sun Valley, Idaho, this family retreat finds its home at the base of Ruud Mountain. 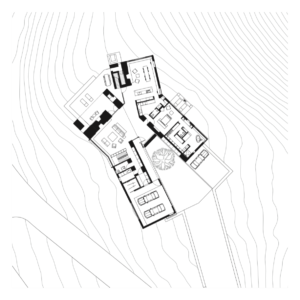 Its two-winged layout provides distinct spaces of private quiet and bustling socializing. 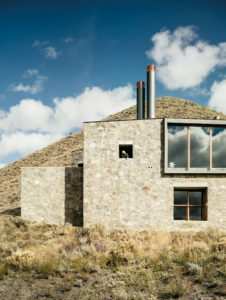 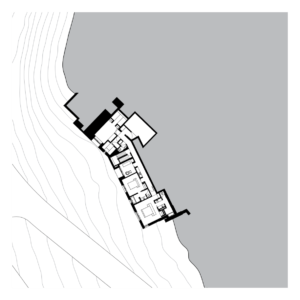 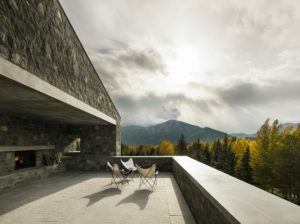 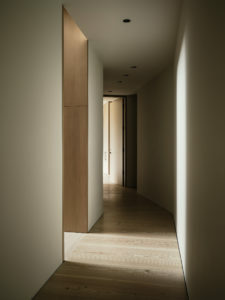 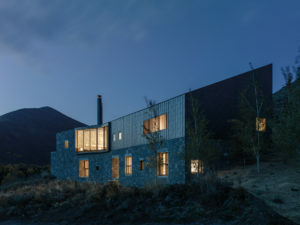 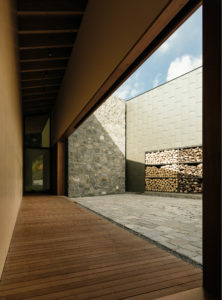 The volumes, materialized in local small-rubble stone, slope away from each other, the profile of the overall form easily melding into the peaks beyond. 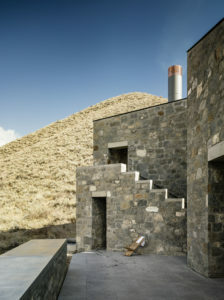 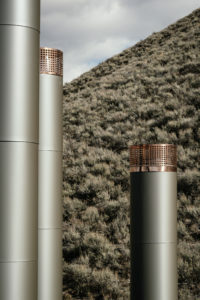 The stone comes together with lightweight zinc to complete the effect of blending into the sage, gray and blue colors of the landscape.